Brandon and Quinn are both big fans of the original Disney Infinity. You could count on us being the first in line every time a new figure was released. I remember the game store guy laughing when Phineas and Ferb were released because my little guys reminded me at least 20 times not to forget the poster and power discs. 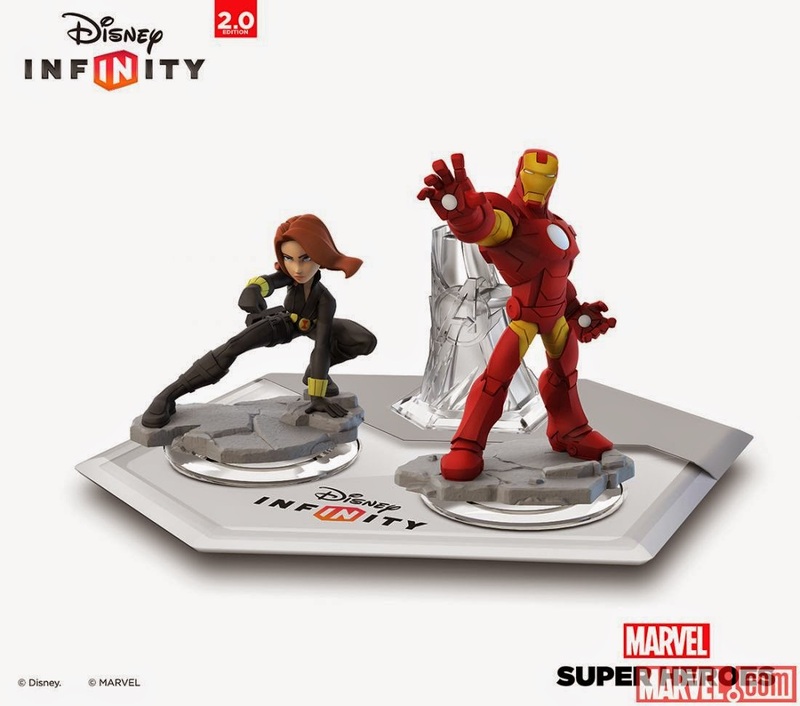 Several months ago when they seen the first preview for Disney Infinity: Marvel Super Heroes 2.0 they both came into my room with astonished looks on their face. At the same time they both started to impersonate their favorite super hero and jump around and tell me that now they can be the Hulk. And "oh Don't forget Quinn Spiderman was there too!!" yelled Brandon Jr. And the both looked at each other and quick turned to me and yelled "AND THE RACCOON GUY TOO!!" Now at the time I had no clue what they were talking about and thought they both went bonkers. So after another 10 minutes of gushing I got Brandon to calm down enough to explain to me that Disney Infinity was going to have a super hero version. 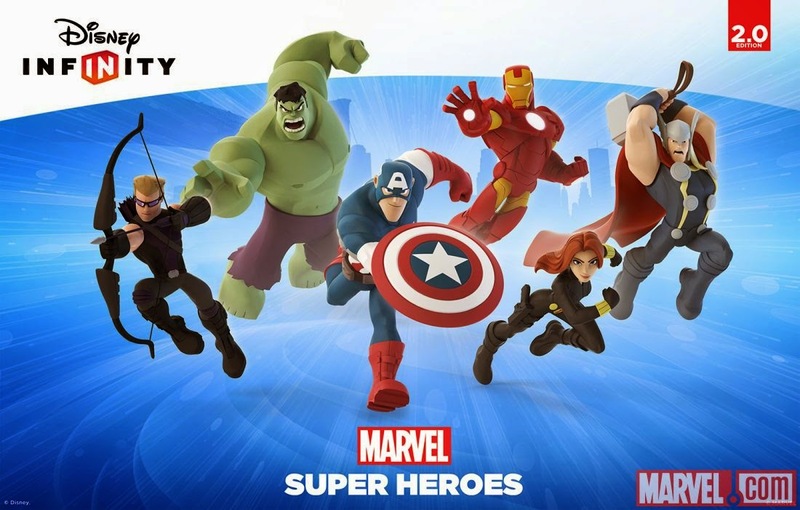 "Disney Infinity: Marvel Super Heroes" features more than 20 new interactive figures from across the Marvel Universe, original storylines penned by award-wining Marvel comic writer Brian Michael Bendis, and an all-new Toy Box mode that makes it easier for players to create and share their one-of-a-kind levels and mini-games with family and friends. 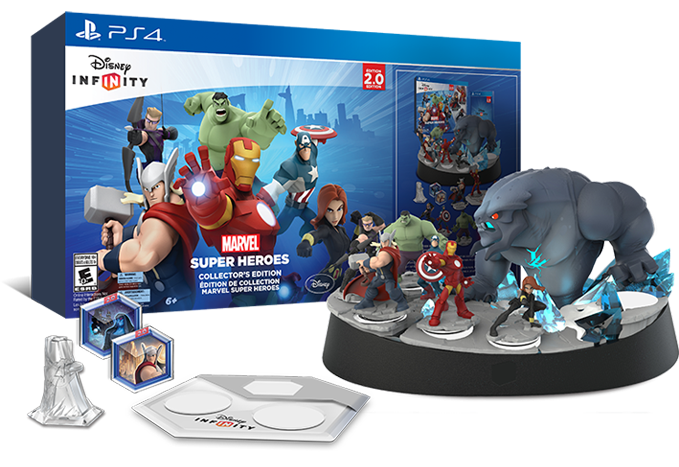 In addition, all characters and power discs from last year’s release of "Disney Infinity" will be compatible with the "Disney Infinity: Marvel Super Heroes" Toy Box. 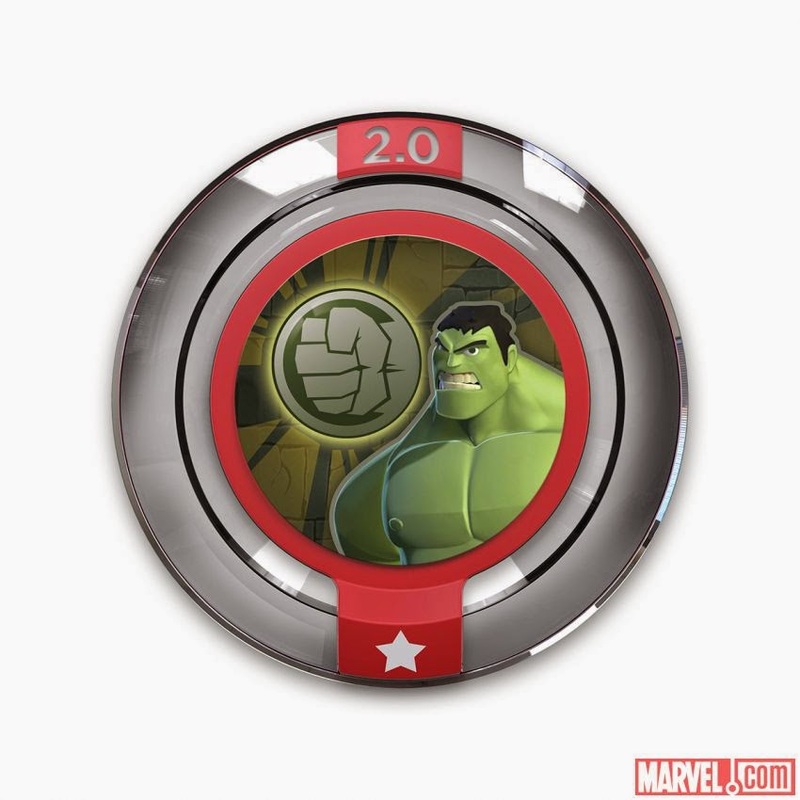 The Avengers’ Iron Man, Black Widow, Thor, Captain America, Hulk and Hawkeye, along with additional Play Sets and characters from other popular Marvel and Disney franchises, which will be released in the coming months. Marvel’s Spider-Man and Guardians of the Galaxy Play Sets and other play sets are sold separately. As with Disney Infinity I love how the game promotes creativity! 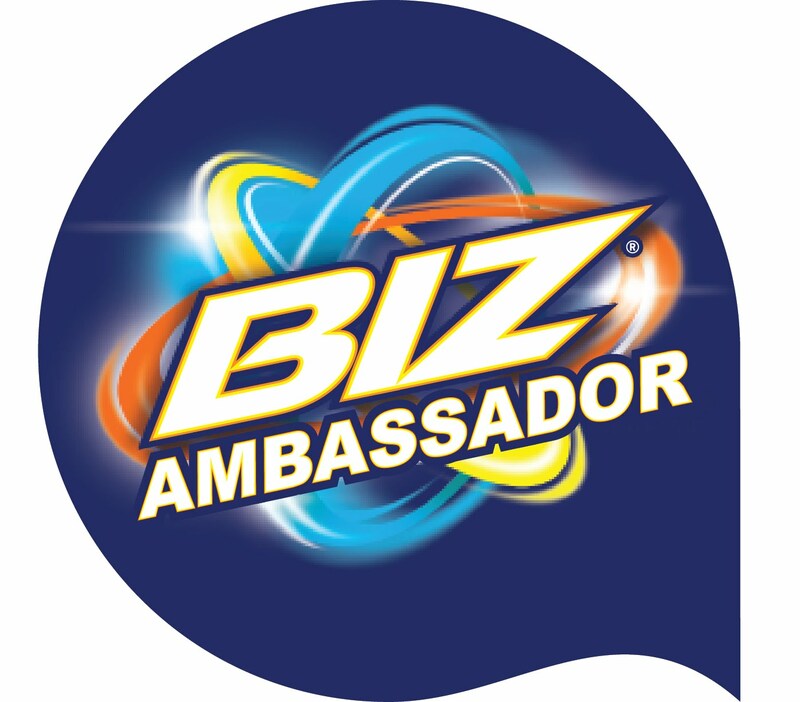 In the toy box anything is possible and with new game discs to play in the Toy Box there is so much more to do. Like the first series, it is completely family-friendly. Even when battling there is no blood or gore the players just fall apart almost like a lego :). Two player can play at once. Just like the original my kids loved the creative free-style building element that allow players to build, collect, and play in their own way. The Disney Infinity 2.0 has a lot more choices in this area also. Brandon enjoys doing missions, but Quinn loves to build. He could spend hours just setting up the toy box world and never get bored. I like that there is a lot of space for him to great creative. For Brandon who enjoys the "mission and game play" the individual worlds are more challenging than the first series. He loves that though and told me it just makes the game more fun when its harder to beat. The pieces "players" are awesome! The starter pack has Thor, Iron Man and Black Widow. They come with their own world piece, but can also be played with in the game box. Each player has their own moves too. Some can hover, jump and from what I read the Hulk is going to be able to climb sky scrapers!! As your player levels up you can customize more skills. I have had to chase my kids to bed every night since we got this and I have a feeling we have MANY MANY more hours of play!